1) The buyer must check the appearance of the package before signing the receipt of the factor or the deliveryman. If it is opened or damaged or if the buyer has any doubt, it should open and check inside the package in the presence of the factor. If items are damaged or missing, the buyer should absolutely refuse the package and indicate on the delivery of mail reservations handwritten, detailed, dated, explicit (package refused on the ground …) and sign this slip and ask to mail the return of the parcel to the sender « Oil Divine » with a damage report (report 170) and remain in possession of a copy of this form. If the package was delivered in the mailbox of the buyer and that he has any doubt given the condition of the package, the buyer must not open the package but to go without delay to post office, and follow the same procedure in the presence of an officer of the Post. 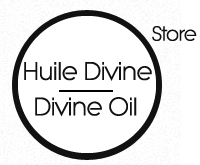 Oil then contact Divine by mail within 48 hours and has the following address info@HuileDivine.com Always follow this procedure if oil Divine can not respond to your complaint. Intelligence information collected for purposes of distance selling is required, this information is essential for processing and delivery of orders and preparing invoices. The lack of information result in the cancellation of the order. According to law « and Freedoms », the processing of personal information about customers has been declared to the Commission Nationale Informatique et Libertés (CNIL). The buyer (Article 34 of the Act of January 6, 1978) a right of access, modification, revocation and delete data concerning him, he can exercise with Oil Divine. Oil Divine undertakes not to provide free or in exchange of the coordinates of its buyers to third.